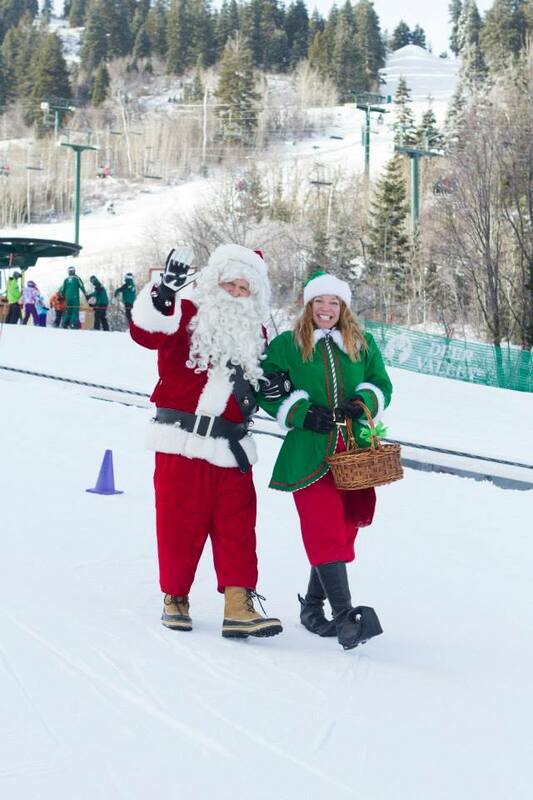 Deer Valley Resort, voted the United States’ Best Ski Resort by the World Ski Awards, is providing ample holiday cheer for visiting guests with its on-mountain festivities and savory, gourmet feasts. The resort’s winter wonderland is the ideal setting to capture all the joys of this special season. On-mountain holiday highlights include a visit from Santa Claus on Thursday, December 24 in the Snow Park Lodge area from 9 to 11 a.m. and then in the Silver Lake Lodge area from noon to 1:30 p.m. Guests and their children are invited to bring cameras for a picture with the Jolly Elf. On Wednesday, December 30, Deer Valley Resort will host its annual Torchlight Parade held at dusk on Big Stick ski run on Bald Eagle Mountain, behind Snow Park Lodge. The Snow Park Restaurant will remain open during the event, serving its regular menu and complimentary hot cider and cookies will be served on the Snow Park Plaza from 5:45 to 6 p.m.
With its acclaimed culinary scene, Deer Valley Resort is helping to eliminate the stress of the holidays by offering several epicurean dine-in and to-go menu options. 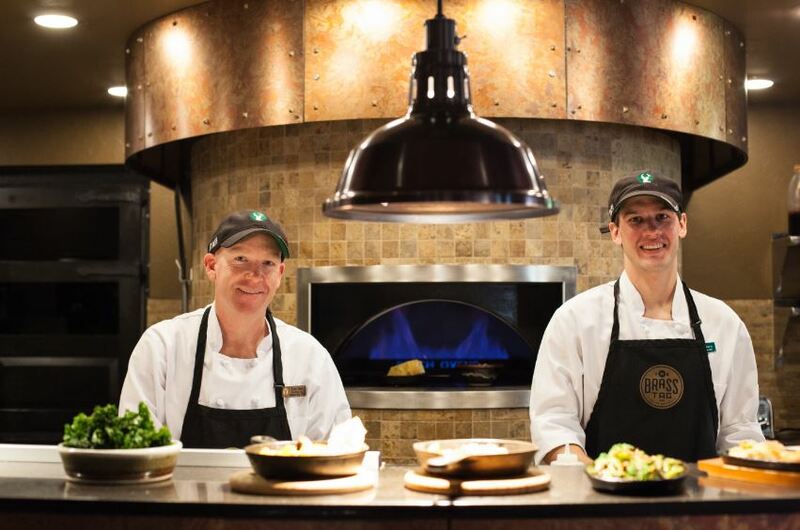 The Brass Tag, Deer Valley’s gourmet brick-oven restaurant, is offering a prix fixe dinner for two for $38 per person. The succulent Christmas special features oven-braised Niman Ranch lamb shank, bacon Brussels sprouts, roasted red pepper ragu, smoked Gouda polenta and a merlot au jus. The dinner is topped off with both an oven-baked chocolate pecan tart and a cheddar cheese-crusted apple pie. The Christmas special will be served nightly December 21-26, 2015. Tax and gratuity are not included and à la carte options are available. For less time in the kitchen and more time spent with loved ones, Deer Valley Grocery~Café’s Take-Away Menu features a delicious assortment of sides and desserts to supplement any holiday feast. Deer Valley Grocery~Café’s Christmas Take-Away Menu includes a lemon thyme sauce, spiced apricot chutney, artisan Caesar salad, Deer Valley roasted garlic mashers, roasted baby carrots and homemade Struan stuffing. The cafe’s pies and desserts range from cranberry linzer tart or pumpkin pie with a gingersnap crust to traditional pumpkin, apple and blueberry or apple cheddar pie, egg nog cheesecake, chocolate silk pie, and cranberry orange pecan bread. Orders placed byMonday, December 21 will be available for pick up on Thursday, December 24 by 7 p.m. All Christmas Take-Away Menu pricing can be found at www.deervalley.com. Orders can be placed by calling 435-615-2400. For adults seeking a romantic, elegant way to ring in the New Year, Deer Valley’s renowned Mariposa is offering an indulgent four-course prix fixe New Year’s Eve dinner. First course choices include Maine lobster chowder, nori and sesame seed seared #1 ahi tuna, wild mushroom beggar’s purse or aged Gruyère and chive soufflé. Second course options are burrata, fresh basil and heirloom cherry tomatoes, lemon thyme gnocchi or quail saltimbocca. Main entrées are harissa and fresh herb crusted Niman Ranch lamb chops, pan roasted sea scallops or a seared bison fillet. The final course features a caramelized pear and chèvre dessert. Reservations begin at 5:45 p.m. and end at 9 p.m. The prix fixe dinner is $125 per adult (tax and gratuity not included), with wine pairings offered for an additional $50 per person. More information on restaurant hours of operations, reservations and pricing is available at deervalley.com.